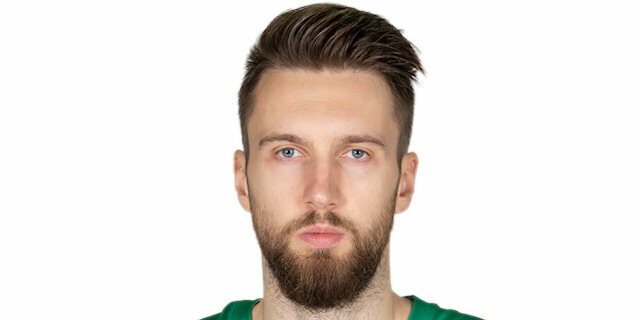 Darussafaka Tekfen Istanbul ended its 12-game losing streak by beating its former coach David Blatt and Olympiacos Piraeus 79-75 on Thursday night at Volkswagen Arena. Toney Douglas starred with 19 points, 9 assists and 5 steals to pace Darussafaka, which improved to 2-13. Douglass scored all of Darussafaka's 7 points in the final two-and-a-half minutes to preserve the win. Zanis Peiners added a personal-best 16 points plus 9 rebounds and Micheal Eric added 10 points. Janis Strelnieks paced Olympiacos with 15 points on 4-of-6 three-point shooting, Zach LeDay scored 12, Kostas Papanikolaou 11 and Georgios Printezis 10. The defeat ended a three-game winning streak for the Reds and saw their record fall to 9-6. The was only one basket scored in the first two-and-a-half minutes, but then both teams heated up. Douglas fired the hosts ahead 14-9, which prompted an Olympiacos timeout. The visitors turned steals into fast break points in capping a 10-0 run for a double-digit lead, 20-9. Printezis split free throws to end the Olympiacos drought, but Jeremy Evans tossed in a score that made it 24-12 after 10 minutes. Peiners started the second quarter with a put-back and soon finished a break with a two-handed jam as the lead soared to 31-14. After a timeout, Olympiacos found Nikola Milutinov for an alley-oop slam and then Papanikolaou heated up to trim the deficit. Milutinov's three-point play made it 34-25, but Douglas led an 8-2 spurt for the hosts as the margin swelled to 15. LeDay drew the Reds within 42-31 at the break. A Nigel Williams-Goss three to start the second half gave the visitors hope, however, Darussafaka reeled off 9 consecutive points to take a 51-34 advantage. A Steal and layup by Douglas took the difference to 58-39 midway through the third quarter, after which Olympiacos called a timeout to try to regroup. Strelnieks knocked down back-to-back threes and the Olympiacos defense blocked shots on consecutive possessions as the Reds rallied. Free throws by Strelnieks and Vassilis Spanoulis made it 60-53 through three quarters. Spanoulis made it a 5-point game before Marko Brown and Eric pushed the hosts to a 66-55 lead. Peiners's four-point play made it 72-60 with 6 minutes remaining. Darussafaka was held scoreless for the next four minutes as Olympiacos scored 9 straight points from four different players to get within 72-69. A reverse layup by Douglas gave Darussafaka breathing room and a jumper by the same player all but put the game out of reach for Olympiacos. Strelnieks kept the visitors alive, but free throws by Douglas iced the win with 7.6 seconds remaining. 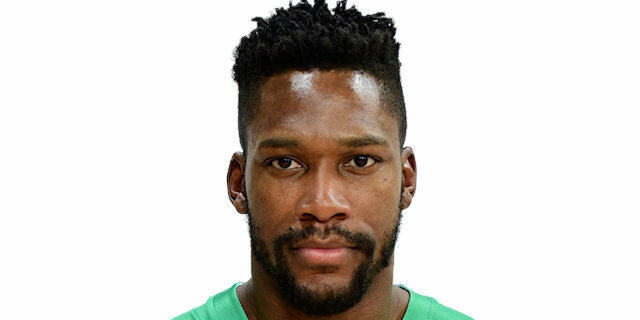 Toney Douglas got the job done early and late to lead Darussafaka to victory. He had 6 points, 3 assists and 2 steals in the first quarter alone to spark his team to a fast start and a 24-12 lead after 10 minutes. He stepped up again late after Olympiacos rallied to within 72-69. Douglass scored a reverse layup, added a jumper and made 3 of 4 free throws, which allowed his team to hold on for a memorable win. Darussafaka played exceptional defense to keep the visitors to subpar shooting numbers on both twos (18 of 44, 40.9%) and threes (8 of 27, 29.6%). The hosts also delivered 20 assists – their second-most all season, and held Olympiacos to just 13. 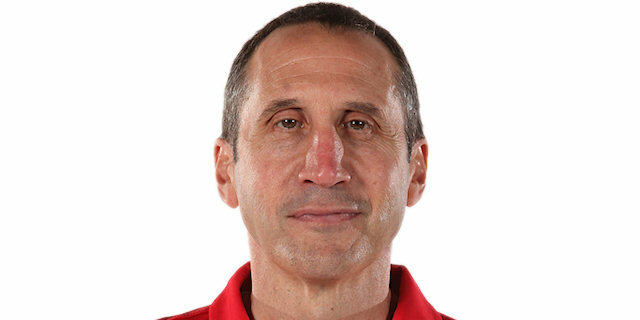 Olympiacos head coach David Blatt spent the past two seasons on the Darussafaka bench and helped lead the club to new heights, including winning the 2018 7DAYS EuroCup crown. He was welcomed accordingly in a pre-game ceremony. Blatt was presented with a plaque, a ring and flowers, while David Bowie's "Starman" was playing on the arena speakers. Darussafaka begins 2019 with a road trip to face FC Barcelona Lassa, while the Reds start the second half of the Turkish Airlines EuroLeague Regular Season by hosting the great derby of Athens against archrival Panathinaikos OPAP. Both games are on Friday night. "First of all, I always congratulate our opponents, but this time I am going to change it and congratulate my own players. In a tough period, we didn't have time to practice, we tried to change things, we did mostly mentally, we were really suffering at the end of many games, but today is a breaking point in my opinion and I am really thankful to my players because of the hustle and the smart action at the end. We are trying to build he team's character and personality, we are trying to build a reputation here the last two weeks, and I want everybody to know that Dacka, from today on, will be one of the most hustling, most physical teams in any competition we take part in." "Congratulations to Darussafaka, I thought they played an excellent game. We started very poorly and lost the first quarter badly. We came back – we won the last three quarters, but we chased the whole game. You have to play 40-minute games in the EuroLeague and we did not tonight... Our defense in the first quarter was horrible. In the first half, we turned the ball over too much and Darussafaka turned those into easy points. We didn't shoot the ball well. And in the end we came up short for those reasons... We need to keep our heads up and look forward. Personally, it was very good to come back here and see a lot of good people and friendly faces." "We had a lot of games with similar scenarios and finally we got the win in the end. I think the last four games we were really unlucky with the last foul shots or something like that, so today we finally had some luck. I think I played okay. From the start of the game I got some easy buckets. My teammates gave me some good passes to the backdoor and on the fastbreak, so I felt the game a little bit better and also our whole team looked really hungry today." "Hopefully we can build on this. We won our last two Turkish League games and hopefully we can build on it and go game by game. We kept our composure [late]. They made a run. Basketball is a game all about runs and we kept our poise and we played defense, got rebounds when we needed to and we hit big shots."